Adejoke girl being displayed on TV. She became slightly dizzy. She remembered Ronke talking about her extensively countless number of times. not going through. She threw her phone on the chair. Ronke just got more dangerous. thanked God for her life. old man crossed her mind. not get his money back. wanted to kill me ehn? "Hey you…. What rubbish did you do" she yelled. "Hey R…Ronke… I… I heard about your ehmm… your"
not know who did this? 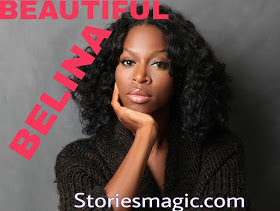 0 Response to "STORY:BEAUTIFUL BELINA (Season 2,Episode 41)"